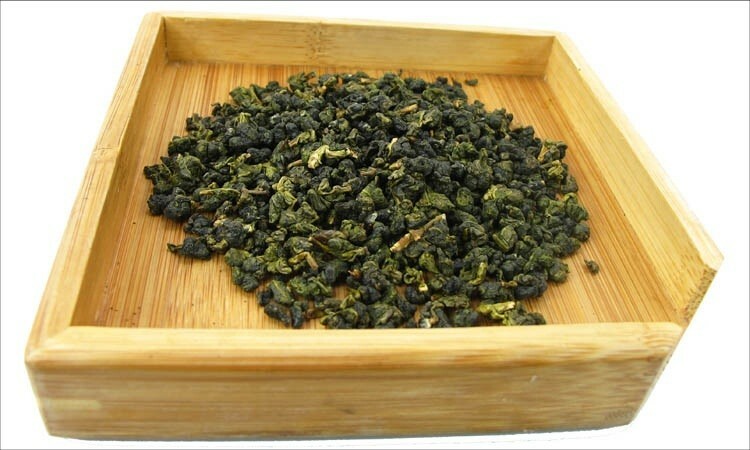 Taiwan milk oolong tea belongs to the improved variety of Taiwan oolong tea. It is a kind of semi-fermented tea, which is developed from the green tea and black tea. And its quality also is between the green tea and the black tea. 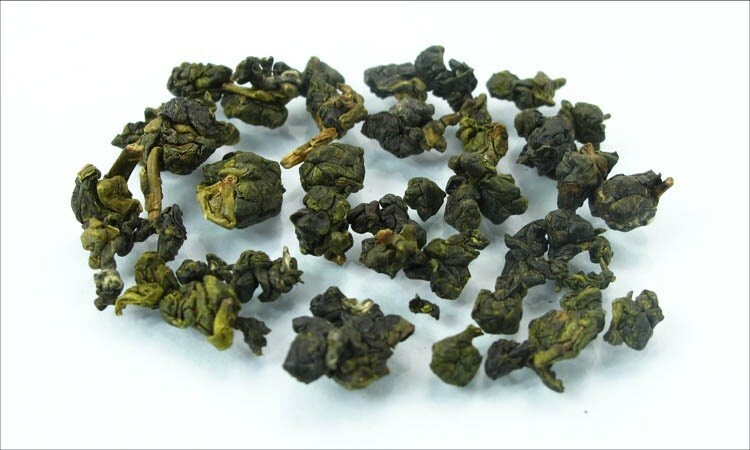 It is known as “green leaf with red edging”, with stong taste of black tea and delicate fragrance of green tea. It needs to be brewed by high temperature water. The tea color shows orange, and it tastes mellow and sweet with natural elegant milk fragrance. At the first time of brewing, you will smell the warm fragrance. At the second time, you should smell the tea fragrance. And the third time, the fragrance will last long. ;Milk fragrance adds tea fragrance.If you deguster the tea patiently and quietly, you also will smell the light orchid fragrance. “Jin Xuan milk Oolong” is the best quality in Taiwan’s teas. 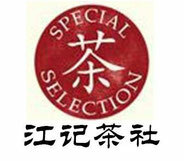 And it is one of the popular top grade tea in Taiwan. Heat water to 90c (add a little cool water to the cup with boiling water to reduce temperature) and add one teaspoon loose leaf tea per cup (apprx. 8 ounces). Infuse the tea leaves for 1-2 minutes depending on taste preference. May be infused 3-5 additional times. 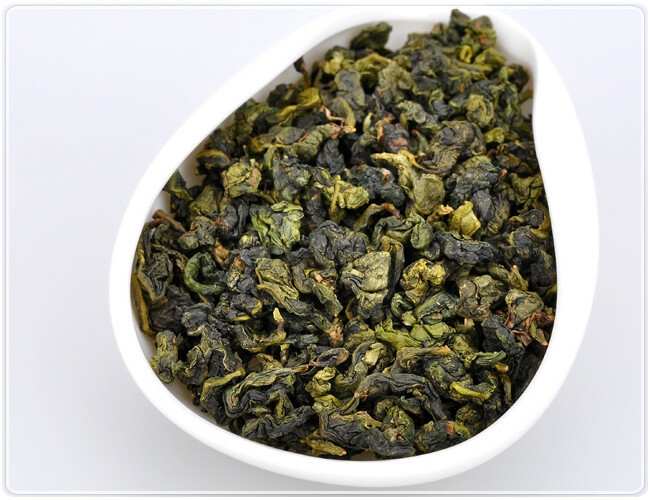 Pouchong or light oolong, it is a lightly fermented (oxidized) tea, twist shape, with floral notes, and usually not roasted, somewhere between green tea and what is usually considered Oolong tea, though often classified with the latter due to its lack of the sharper green tea flavours. It is produced mainly in Fujian, China, and in Pinglin Township near Taipei, Taiwan.Its name in Chinese, refers to a practice of wrapping the leaves in paper during the drying process that has largely been discontinued due to advancement in tea processing. 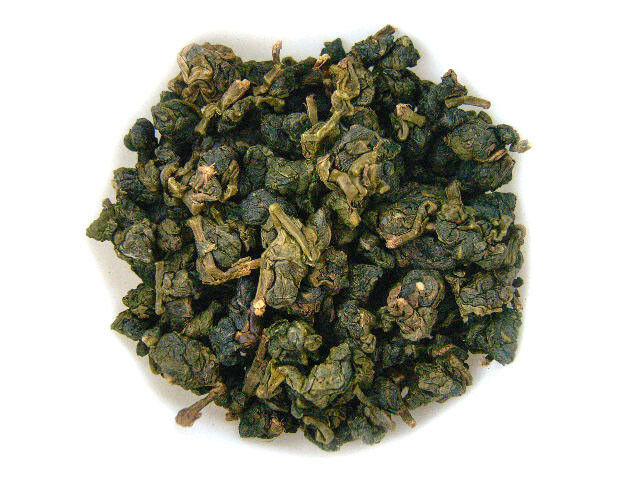 At its best, Pouchong gives off a floral and melon fragrance and has a rich, mild taste. Usually around the end of March, begins picking of this famous Taiwan "spring tea"Pouchong is a popular choice with producers of scented tea, with rose pouchong a particular favourite. 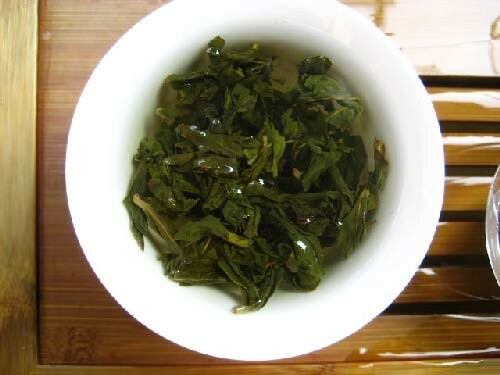 Wenshan pouchong tea in the fermentation of 15% to 20%, and is the lightest level of Taiwan’s tea fermented oolong tea. 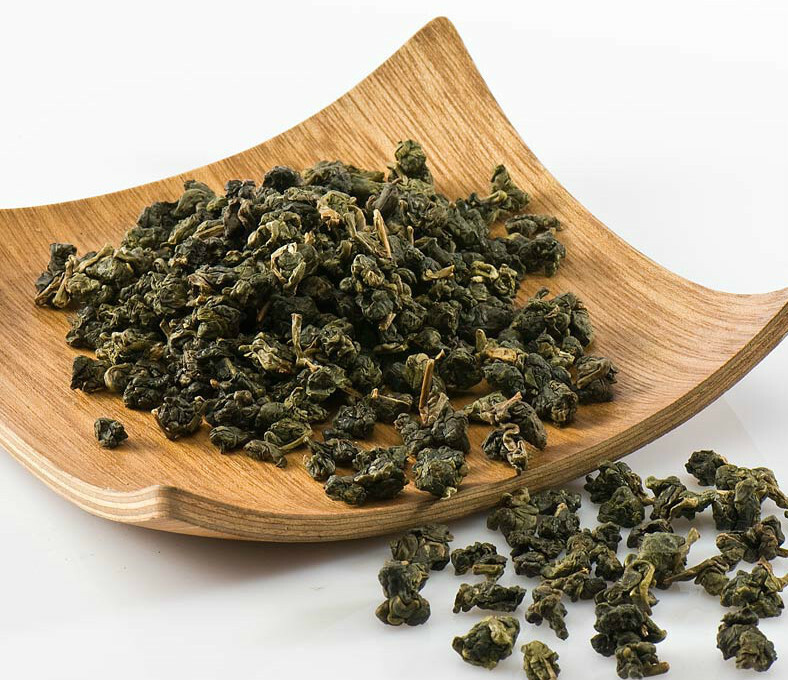 Together with green tea, oolong tea, and black tea, Pouchong tea has been shown to have antioxidant activity and antimutagenic properties. Tea catechins are important antioxidants and one study found Pouchong tea to have over three times the amount of these compounds relative to black tea, although it was found to have less than green or oolong teas. 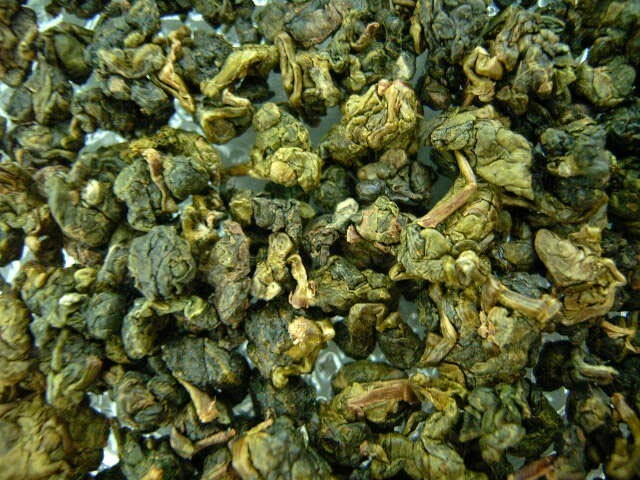 Tung-ting, also known as Dongding, is an Oolong tea from Taiwan. The original leaves were taken from a much older tea plant in China's Wuyi Mountains in Fujian Province. The name "Dongding" means "Frozen Summit", which is the name of the mountain in Taiwan on which the original tea plants taken from the Wuyi Mountains were planted. 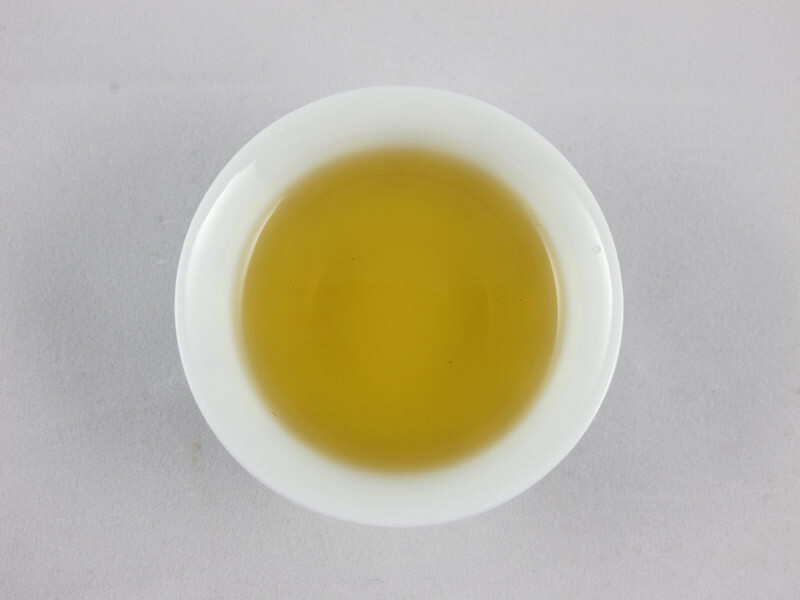 Dong Ding Oolong is usually made from the Qing Xing Oolong cultivar which is also grown and produced in other Taiwanese regions like Alishan, Lishan and San Lin Xi. It is predominantly picked by hand and generally can be harvested 4 times a year with Spring and Winter pickings the most favored. 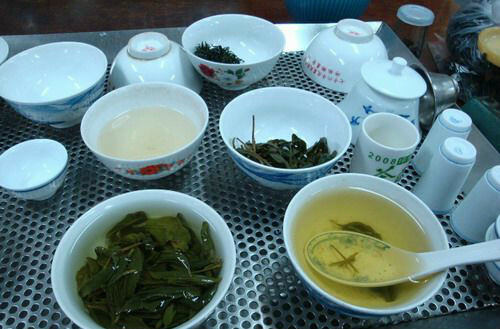 On the degree of fermentation, there have different mildly fermented tea (about 20%), moderate fermented tea (about 40%) and severe fermented tea (about 70%). 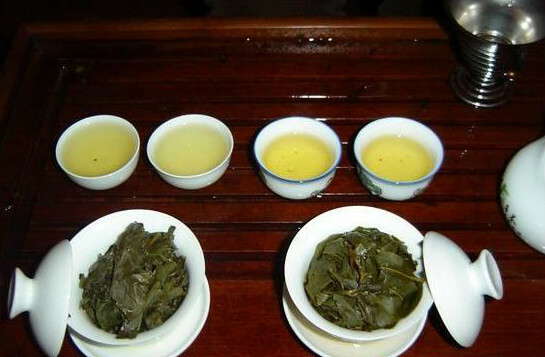 Dongding Oolong tea is fermented tea mild or moderate. Mildly fermented green tea may have severe fragrance. 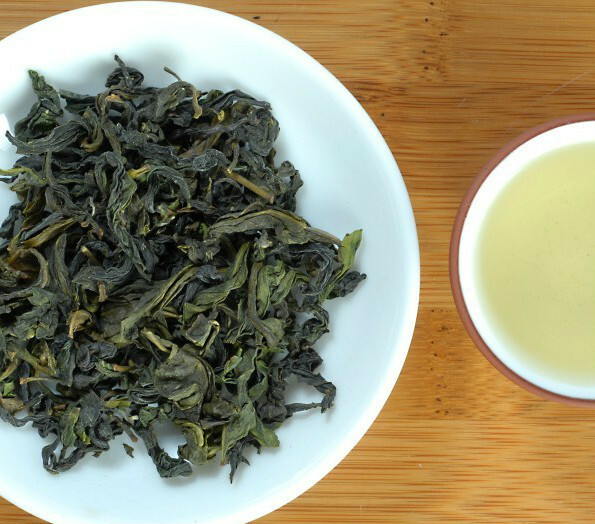 The leaves of Dongding Oolong are a little reddish on the rim and greenish in the middle. The tea soup has the color of orange, the smell of sweet osmanthus. 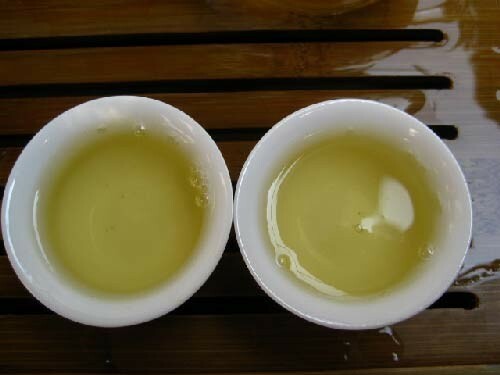 The defining characteristic of a good Dong Ding Oolong is the huo yun (喉韵) or the aftertaste in the throat which is achieved through the adroit roasting and expert control of the firing conditions. Dong Ding should have a deep, robust flavor and lingering aftertaste.